BOSTON — At least for one night, I was again part of a show’s target demographic. “I Love Lucy Live on Stage” at the Citi Emerson Colonial Theatre through Dec. 22 is right in the wheelhouse of we Baby Boomers. The production harkens back to the early days of television in the 1950’s, when television shows were filmed before a live audience, in this case 300 audience members at the Desilu Playhouse studio. “I Love Lucy” was an iconic series for many reasons, besides its six seasons and 179 episodes (That‘s right — 30 episodes a year) from 1951-57. It was the first sitcom to use a three-camera format. One episode of “Lucy” was seen by 44 million people — 72 percent of available TVs were tuned in — and 40 million people still watch the reruns every year. Bill Mendieta is a very credible Ricky Ricardo, Latin charm fully intact and a strong singer to boot. Kevin Remington is Fred Mertz and Dorchester native Carolynne Warren is Ethel Mertz, the Ricardo’s lovable sidekicks and landlords, and they give it their all as the two former vaudevillians. They are a hoot together, singing and dancing up a storm. Mark Christopher Tracy is Maury Jasper, the genial host of the Desilu Playhouse whose job it is to “warm up” the crowd and get them ready for the festivities to follow. He notes to the audience that Lucy’s flaming red hair is actually red for the first time in TV history — Lucy’s hair was a shade of gray for its entire black and white run on TV. If you loved Lucy before, that love should carry over to this production. It’s all good fun, clocking in at about 110 minutes with no intermission, and for we Baby Boomers, it’s a pleasant walk down Memory Lane with some of the most beloved characters in television history. 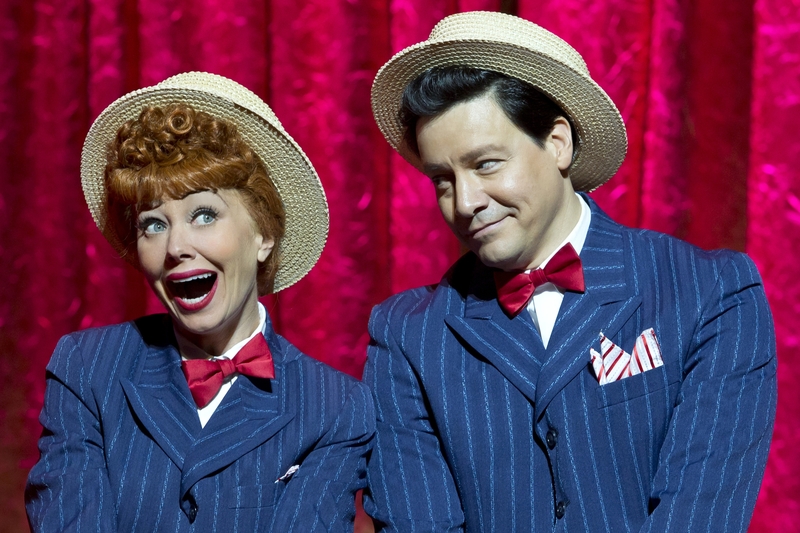 The national touring production of “I Love Lucy Live on Stage, ” through Dec. 22 at the Citi Emerson Colonial Theatre. Staged and directed by Rick Sparks and adapted for the stage with new material by Kim Flagg and Rick Sparks. 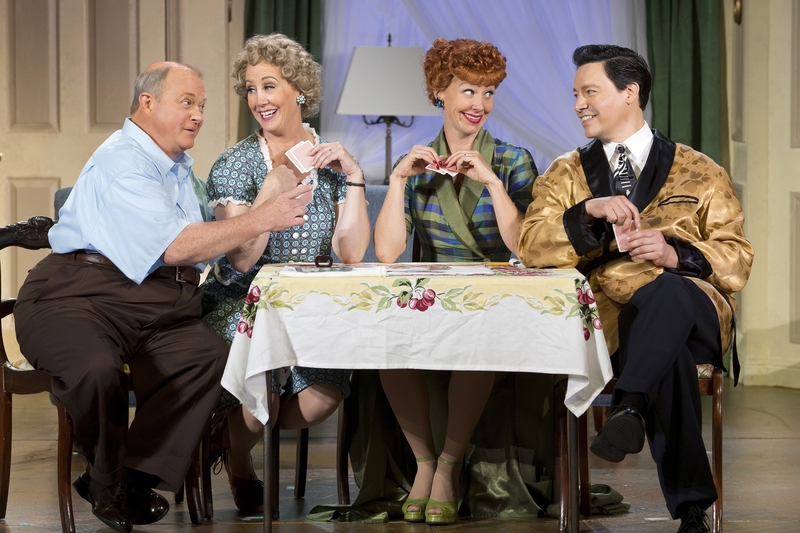 Broadwayinboston.com or ILoveLucyLive.com.